The tight end position is an important piece to Tom Herman’s offense. He’s spent his first three recruiting classes adding numbers to the position, signing three in his first two cycles and holding commitments from two players at the position for 2019. 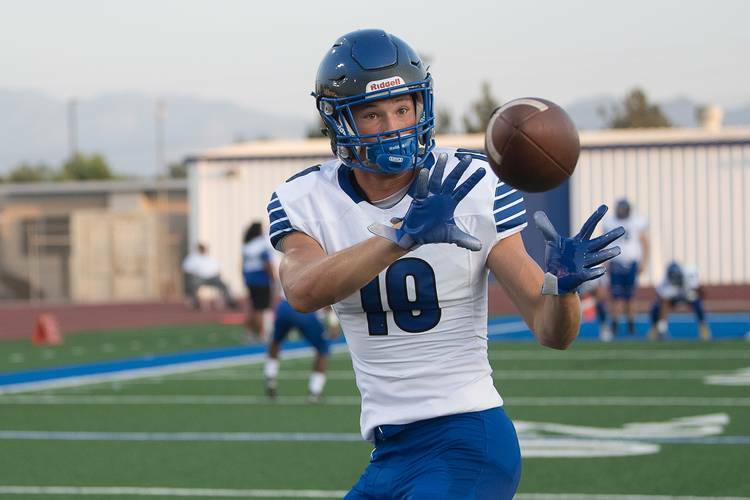 One of those pledges is Brayden Liebrock, a four-star tight end from Chandler High in Arizona. The 6-5, 220-pounder is the No. 7-ranked tight end in the 2019 class and the No. 179-ranked overall prospect in the country, per the 247Sports composite. Liebrock is one of 15 commits for Texas in a class that ranks 10th in the nation. I have always been in love with the game of football. My dad and brother, Brian and Mike, both played college football. My uncle, Kevin Thomas, played center in the NFL for a couple of years. We are a big football family. When I took my official visit to Texas I fell in love with everything about it. From the coaches, players, facilities, campus and education, it doesn’t get any better than the University of Texas. A couple of my goals as a senior are to be a big leader for our younger guys on the team. To try and lead by example and push everyone to be their best. Also, I’d like to be a MaxPreps All-American at the tight end position. First and foremost, I looked at the academics at the schools I visited. The McCombs School of Business is what I am interested in attending. After some research I realized how beneficial it would be for me to graduate with a business degree from that school. The other big one for me was where I could see myself fitting in as a player. The Texas offense utilizes their tight ends in a way that I think fits my play style the best. It is hard to put all of the good things that coach Herman does for the program into one word. If I had to choose one word, it would be motivational. He pushes his players to be the best version of themselves. A tight end who can both catch passes and be utilized on the line as a blocker. I think that for me to be successful in college, I need to gain some weight so that I can be utilized as a great blocker on the line. I played baseball until my junior year before deciding to focus on football.